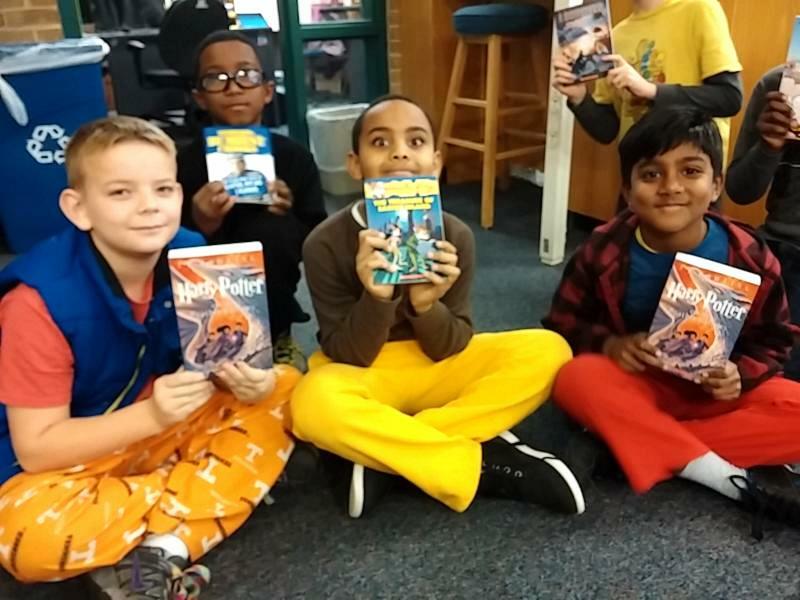 Many book selections were available for the February 6 read-in to observe Black History Month. One of them was Freedom in Congo Square by Carole Boston Weatherford and illustrated by R. Gregory Christie. It describes the lives of slaves who labor daily from sunup to sundown, but on Sunday afternoon gather in Congo Square in New Orleans to share music. 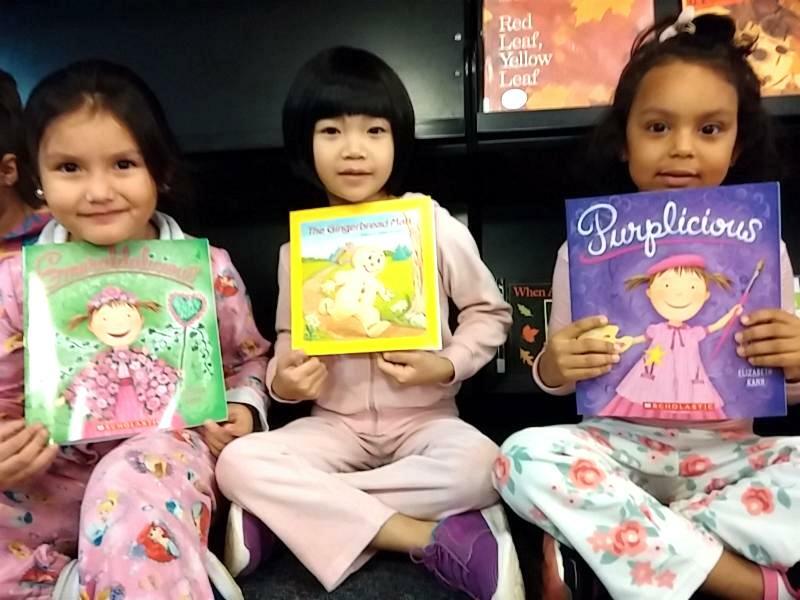 These Barcroft Elementary kindergartners were amazed by the two stories they heard. They thought Goggles was funny! But after hearing Freedom in Congo Square, every one of them had a better idea of how awful it was to be a slave. 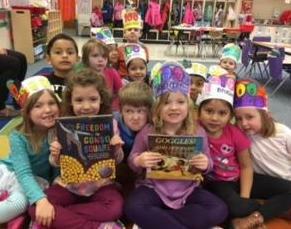 It was a love-my-book fest at Arlington's Ashlawn Elementary Language Arts Program on February 14. 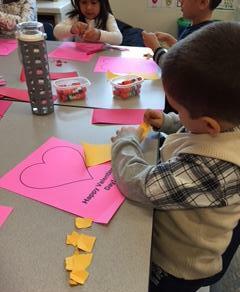 Making Valentines, picking Valentine books, and sharing the love for books! 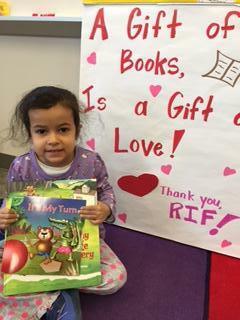 What could be better than a RIF of NOVA book distribution on Valentine's Day?! 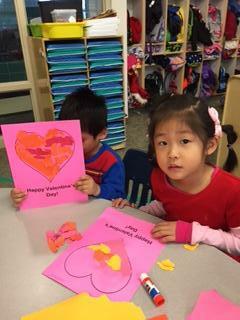 These pre-K students clearly put their HEARTS into it! Love my new RIF of NOVA book! 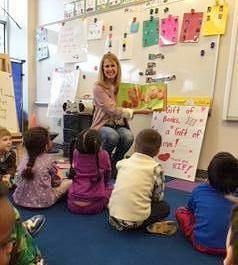 Teacher Allison Gordon shares the love with her very engaged students! Not only a new book, but a Valentine for my best friend! Colored paper, markers, crayons, and more! She loves me, she loves me not! Ada was the world's first computer programmer—who knew? 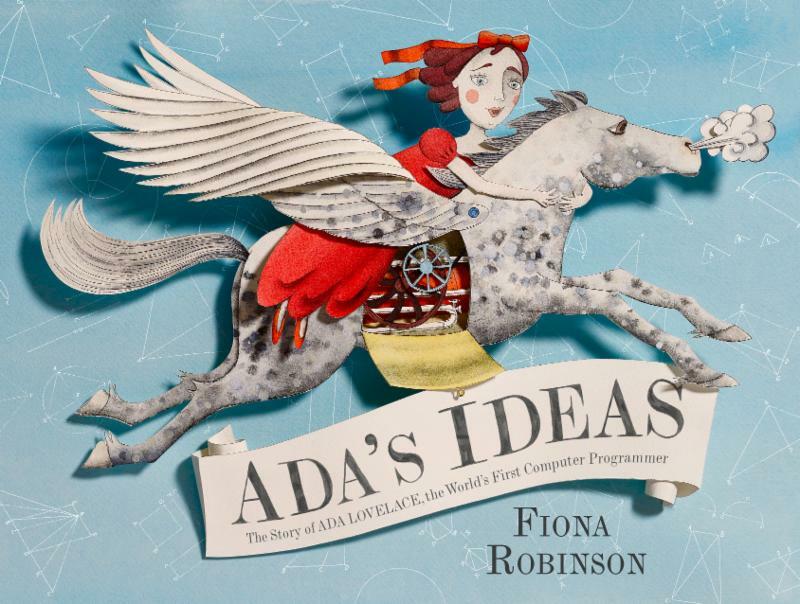 Ada’s Ideas by Fiona Robinson demonstrates what happens when someone is both creative and persistent. The illustrations and the text invite the reader to engage with Ada as she applies her math and science learning to new challenges. Best STEM (Science, Technology, Engineering, Mathematics) Books is a joint project of the American Society for Engineering Education, the International Technology and Engineering Educators Association, the National Science Teachers Association, the Society of Elementary Presidential Awardees, librarians, parents, and guardians for the best children’s books with STEM content. Click here for 30 more STEM book ideas! This month, we feature one of our own RIF of NOVA board members, Nadine James (pictured below). Nadine writes that she and five friends "have always been interested in traditional memoirs, but we also told family stories through quilts and cooking and other crafts. We loved showing people how they could create a memoir with the skills and passion they already had or wanted to learn. Our 'aha' moment was when we realized that there never had been a book that inspired people in so many different ways." The result? 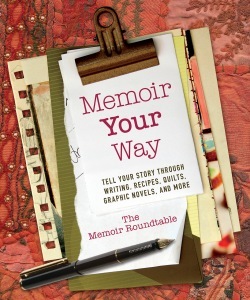 Memoir Your Way: Tell Your Story Through Writing, Recipes, Quilts, Graphic Novels, and More! RIF of NOVA board members celebrate Nadine's success with a new copy of her book! 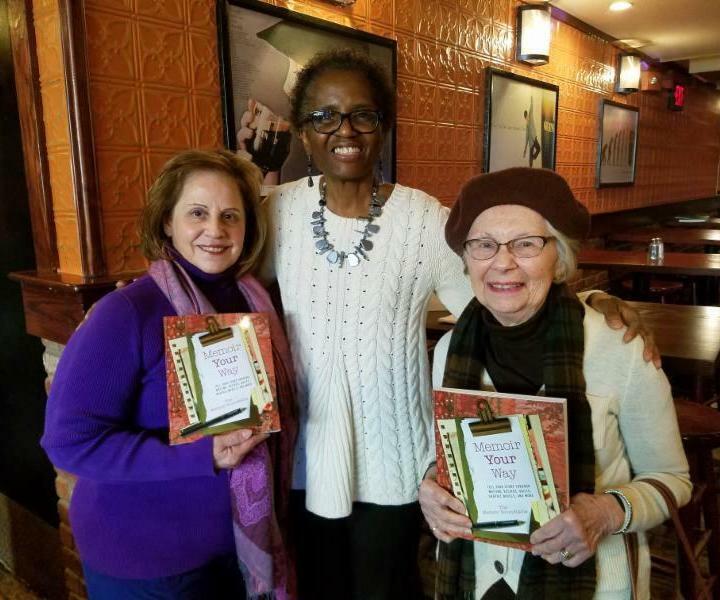 From left, Ann Godfrey, Nadine James, and Gloria Johnson. What happens when you do? Proud and happy faces like these!! !